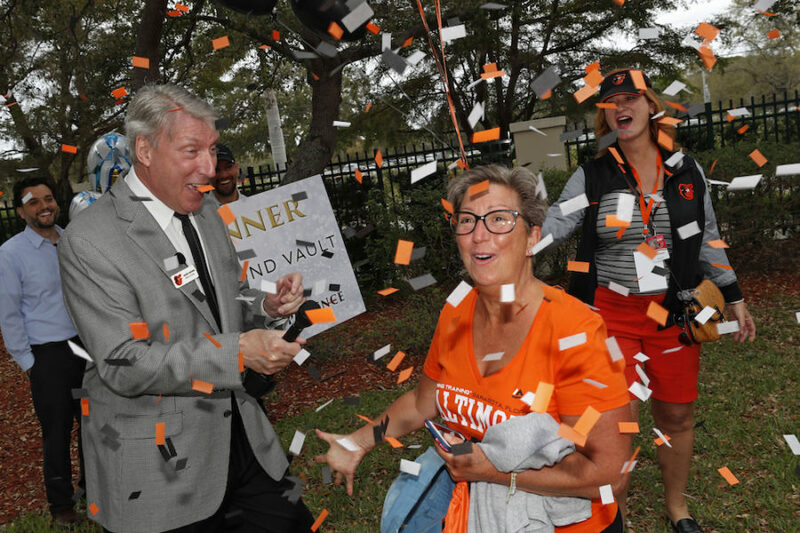 Confetti, balloons and rousing applause greeted the Feb. 26 announcement that Diana Love of Sarasota had been named the one-millionth fan to attend a Baltimore Orioles Spring Training game at Ed Smith Stadium in Sarasota, the Orioles announced. “As fans streamed into the ballpark for the third home game of the 2019 season, the Orioles selected Love at random,” a news release explains. During a special on-field presentation, Love received a certificate for a $5,000 shopping experience at Diamond Vault in Sarasota and two Spring Training season tickets for five years, among other prizes. “I just want to say how excited I am to be the one-millionth person to be here at Ed Smith Stadium. You know I’m going to be back here [at the ballpark] again,” said Love in the release. “I think that it represents what the Orioles have done for Sarasota, to have 1 million people come here. I am thrilled beyond words,” she added in the release. Love and her husband, Mike, both worked as elementary school teachers in Bloomington, Ind., for 32 years, the release points out. “The couple has owned a home in Sarasota for 16 years, the release notes. Since their retirement, the Loves spend the majority of the year in the community, the release says. They told Orioles staff that they attend games at Ed Smith Stadium during each Spring Training season. The Orioles began their current Spring Training season on Saturday, Feb. 23. The team moved Spring Training operations to Sarasota in 2010, the release adds. 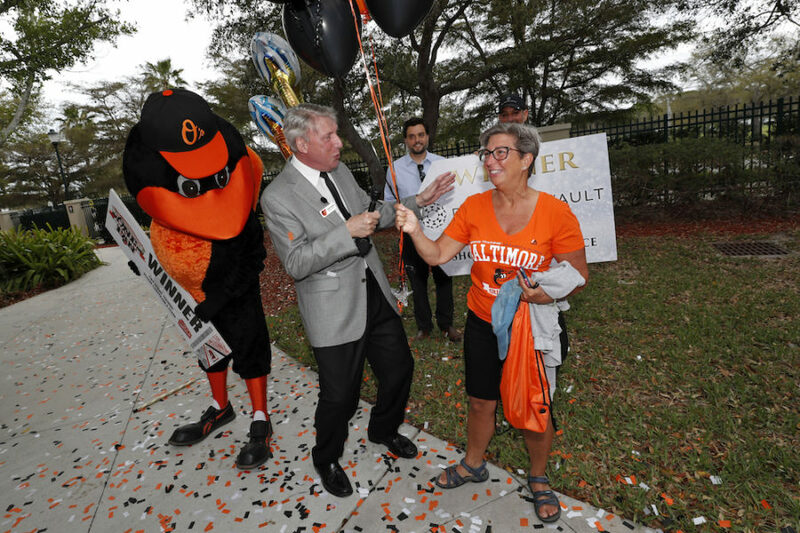 The Orioles have achieved the 1-million fan mark faster than any other Major League Baseball team “in almost a century of Spring Training baseball in Sarasota,” the release points out. “We are grateful for the tremendous support we receive both locally and among our fans who make the trip to Sarasota each spring,” Bader said in the release.